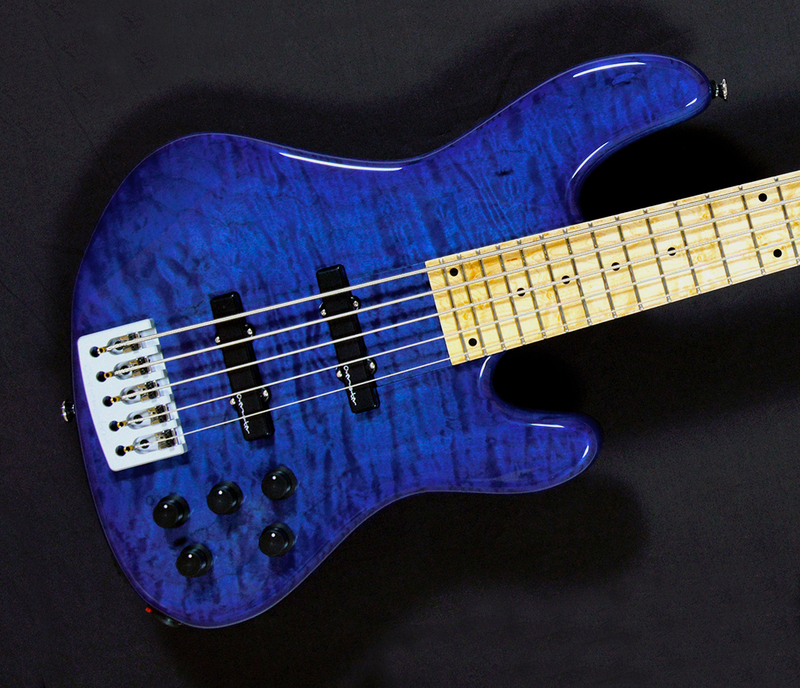 Our Philosophy is and has always been, to treat electric basses fundamentally and in the first instance, as acoustic instruments. 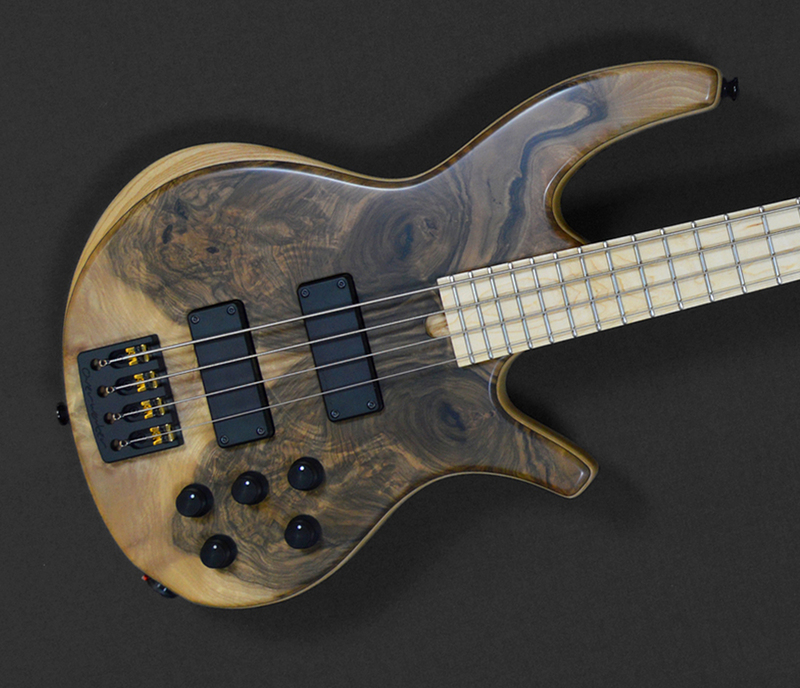 By combining the properties of selected tone woods and bespoke hardware, to create an instrument that offers a naturally resonant response, balanced across the frequency range and with a fundamental tonality that comes directly from the materials from which the instrument is constructed. Overwater electronics are usually ‘flat response’ when in the neutral position – meaning there is no colouration or pre-shape to the sound until the EQ section is engaged. Designed to produce a clean, quiet, full range output signal and offer the player a versatile and usable means of adjusting the tone and dynamics their sound, Overwater electronics are never the less configured as a conduit by which the natural character of the instrument and that of the player, can be transferred accurately to their chosen means of amplification. Our aim is to offer the player the means by which to express themself without compromise. 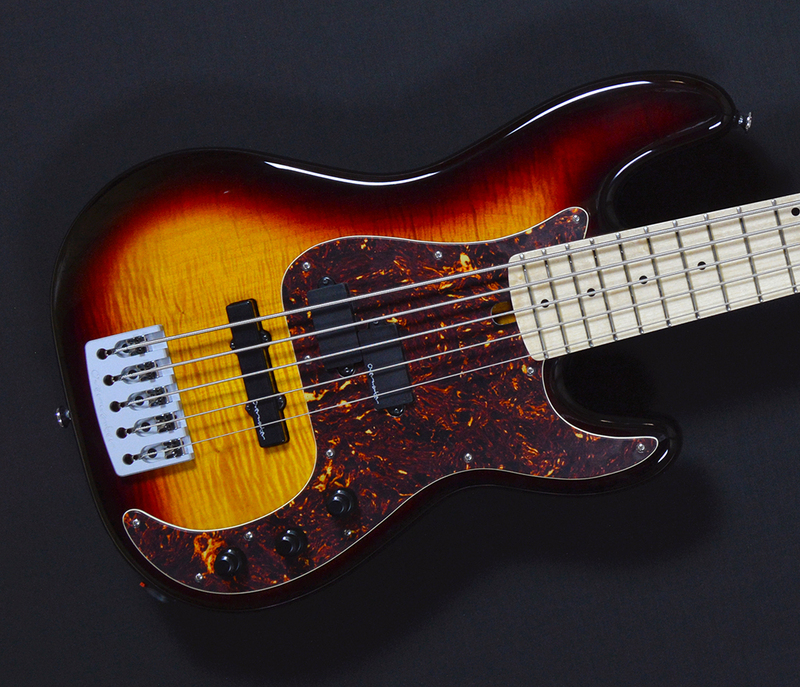 We have worked with musicians from all musical, cultural and stylistic backgrounds, learning directly from them as players, and enabling us to develop a range of basses that will fit into most styles of music and playing situations. 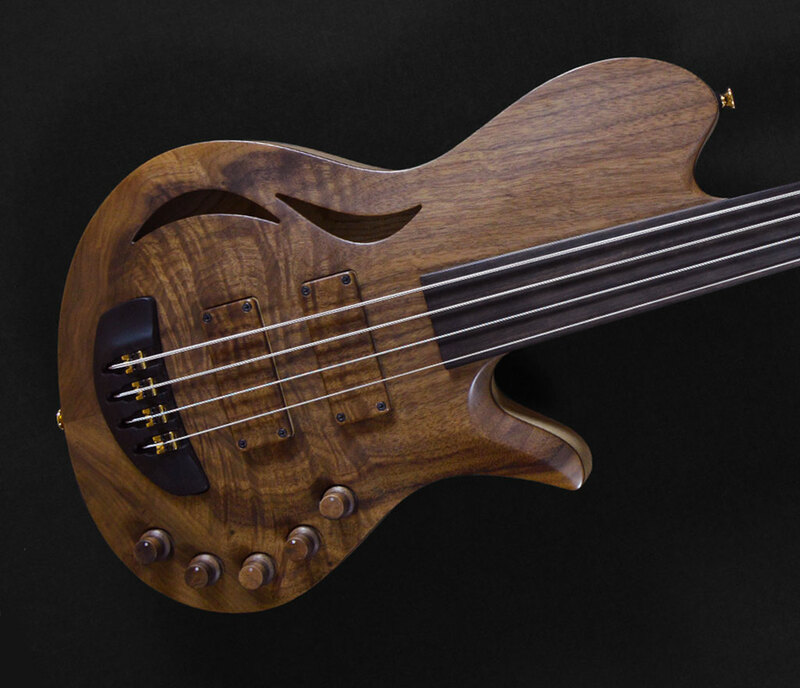 Design excellence and innovation has always been part of the Overwater philosophy and the Overwater name has become synonymous with some of the finest hand crafted bass guitars in the world – and to date over four thousand instruments have been built by the Overwater team in the UK. Officially established in 1979, the Overwater story really begins two years earlier in 1977, in a cellar workshop in Londons’ Denmark Street, then the home of the UK’s ‘Tin Pan Alley’ – a centre for music publishers, recording studios and musical instrument stores and close to the ‘West End’ theatre land. Soon after a larger satellite workshop was established in the northern English city of Newcastle – and from there, the team progressed to it’s first little Overwater factory unit, high up in the Pennine hills, close to the ancient Market town of Alston and ‘The Overwater Guitar Company’ was born.. 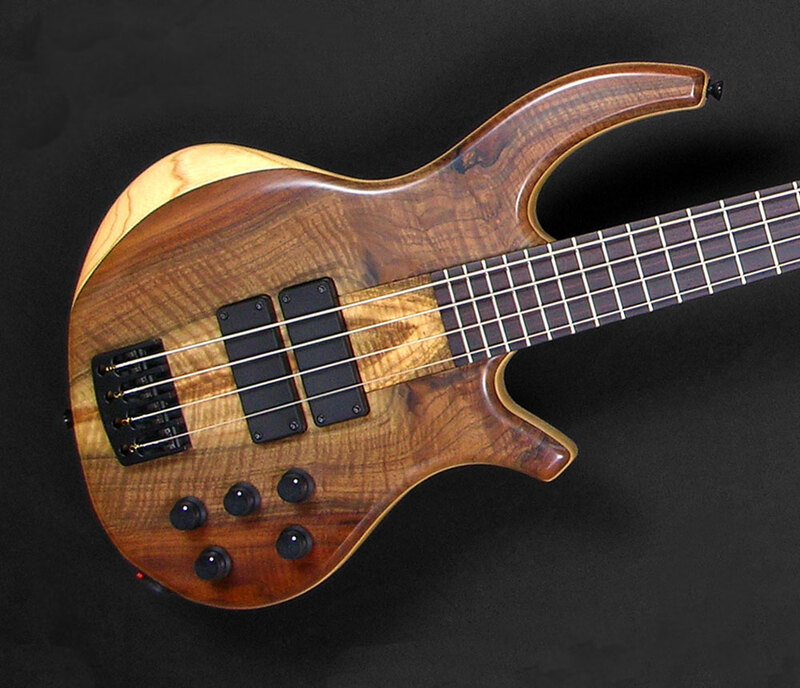 In the early days production was almost equally split between basses and guitars – however during the early 1980’s a reputation for building high quality and innovative bass guitars was quickly established as Overwater developed a range of identifiably original instruments. At this point, wanting to concentrate on production and development of the Overwater brand – Chris and the original Overwater team made the decision to become independent of the London and Newcastle businesses and a separate company was officially formed. Active electronics where introduced around the same time and an 8 year association with innovative electronics designer (and bass player) Bruce Keir (who later moved on to become Technical Director at Marshall Amplification, before founding Blackstar Amplification). After Bruce moved on to design for Marshall, Chris teamed up with Dennis Cornell (also a bass player and stalwart of the British amplifier industry), and together they developed Overwater’s first on-board 3 band EQ.